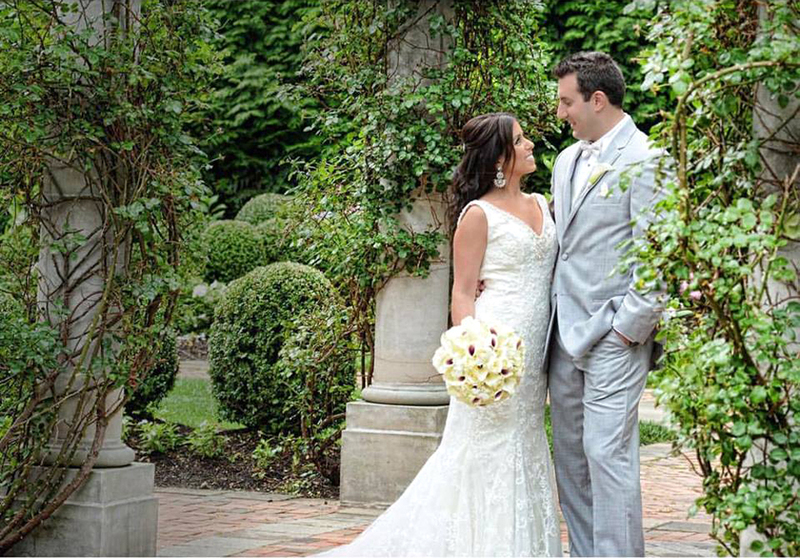 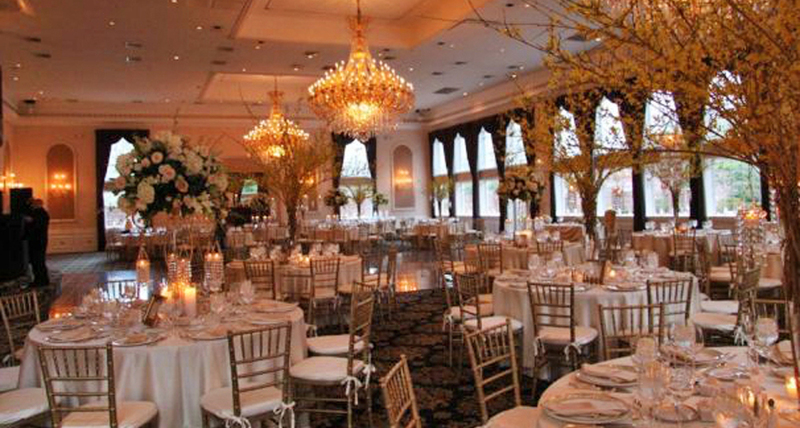 The Estate at Florentine Gardens invites you to spend your special day in our spectacular ballroom and manicured gardens. 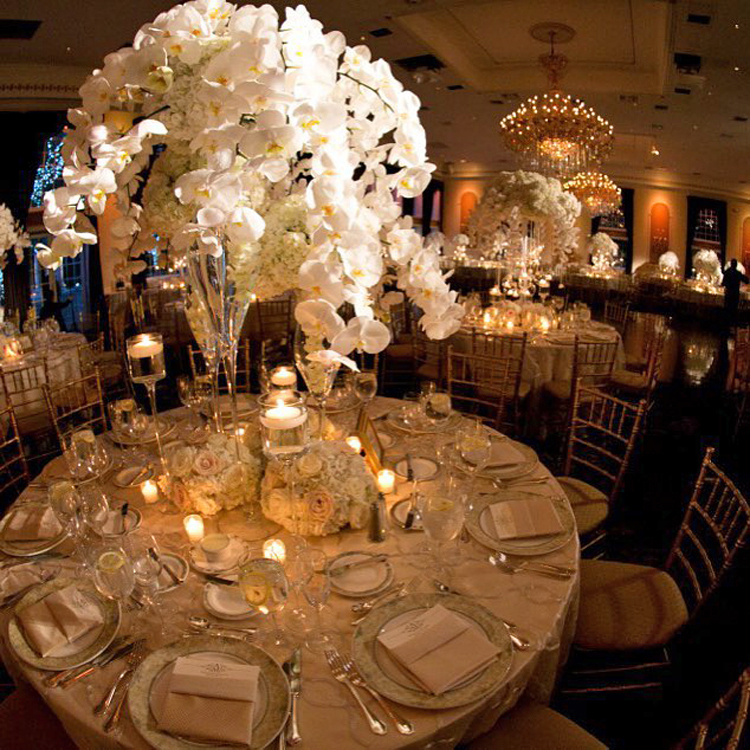 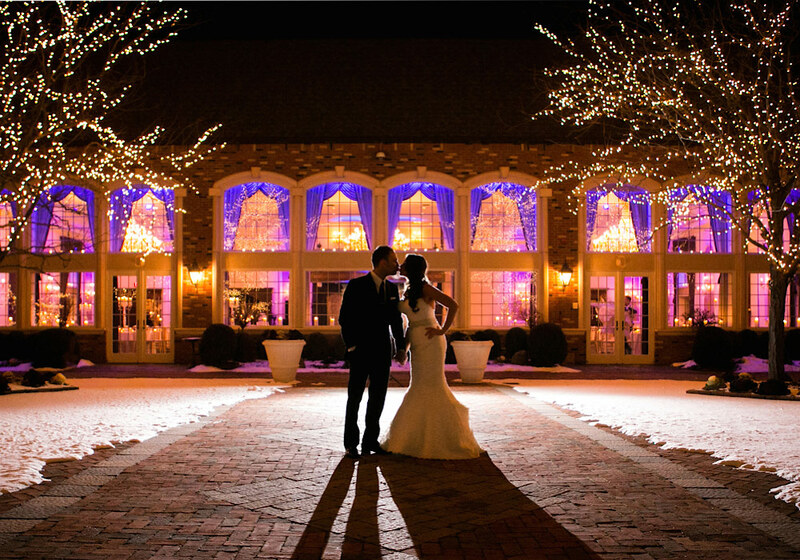 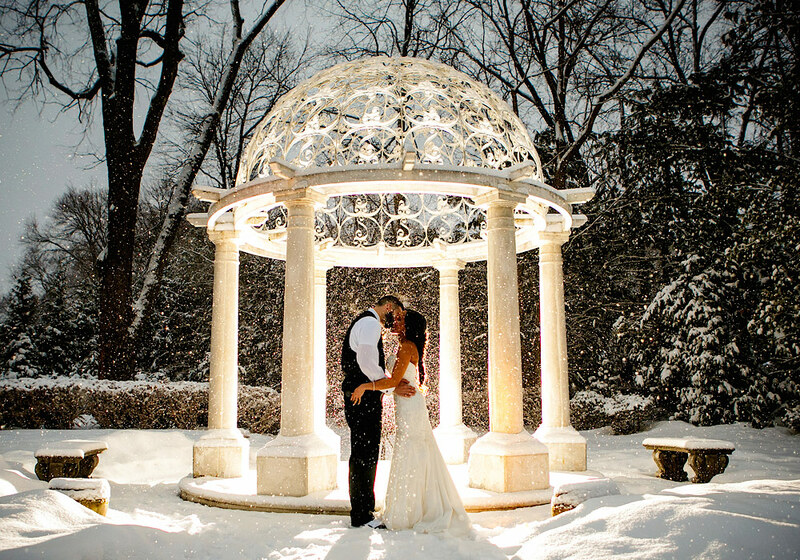 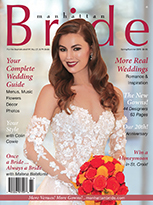 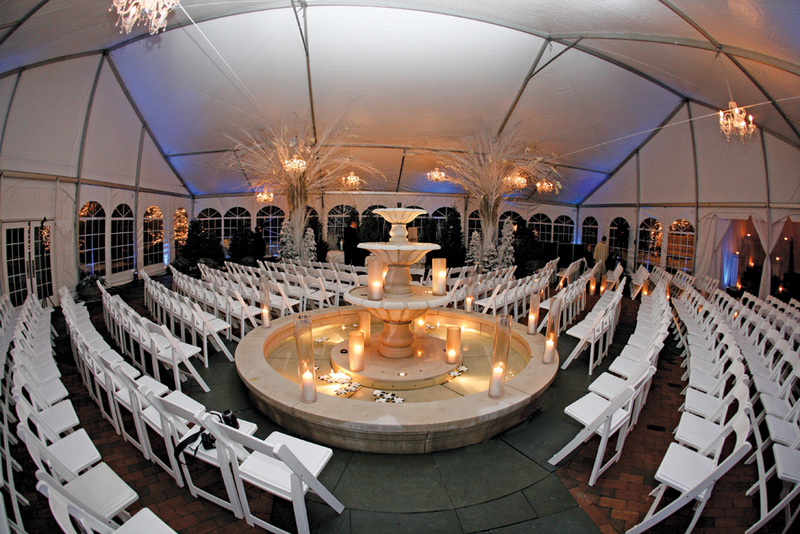 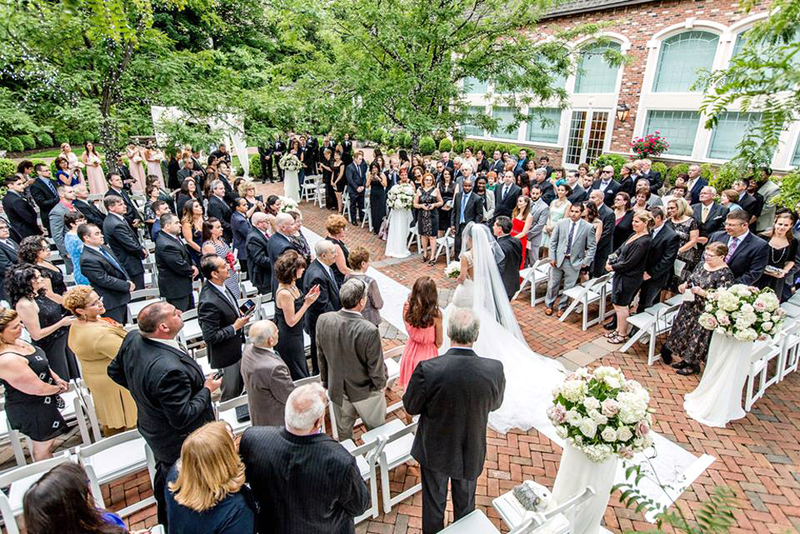 We host one elegant wedding at a time, providing you exclusivity to the entire facility. 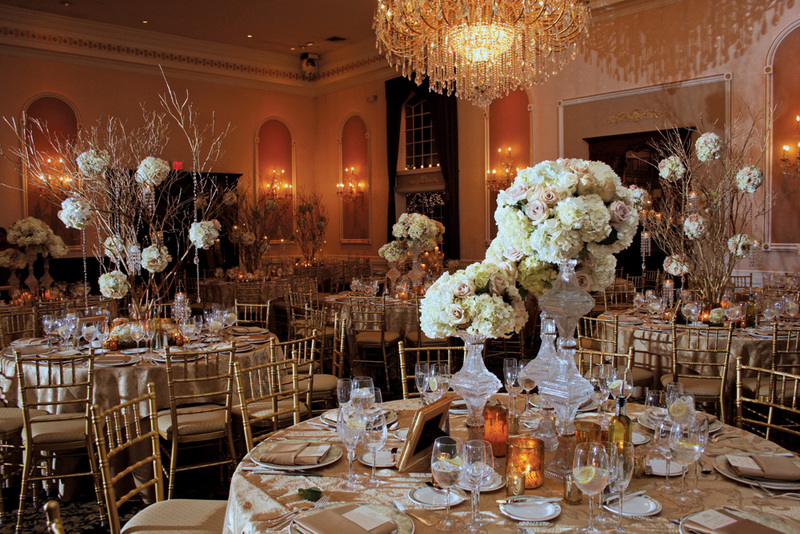 Our staff is dedicated to providing you with individualized service, custom cuisine, and meticulous attention to detail. 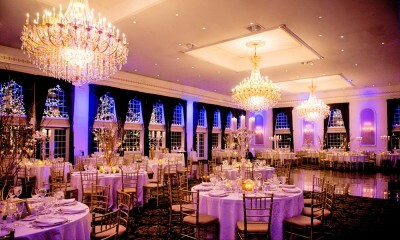 Our Georgian-style mansion features expansive gardens, spacious rooms with elegant décor, and world-class cuisine served by our attentive staff. 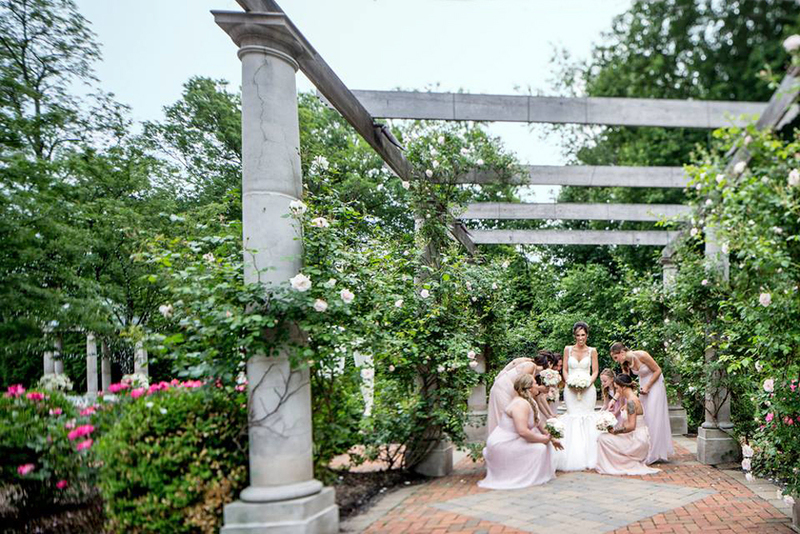 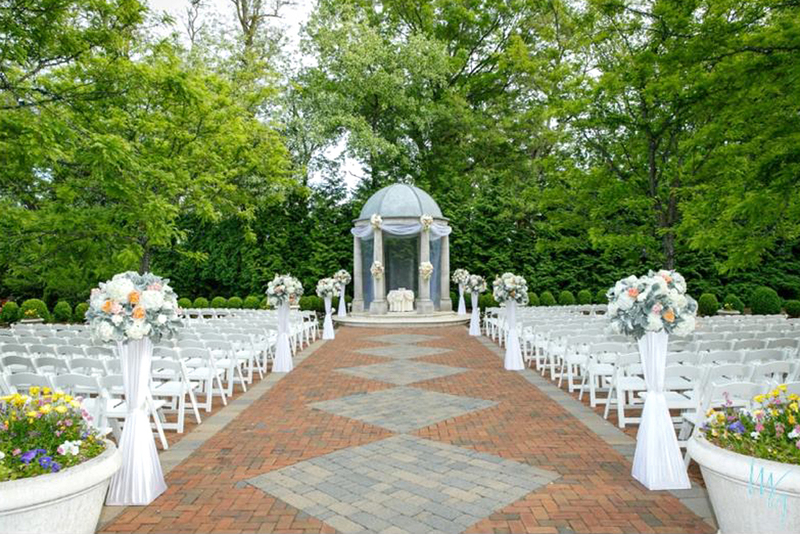 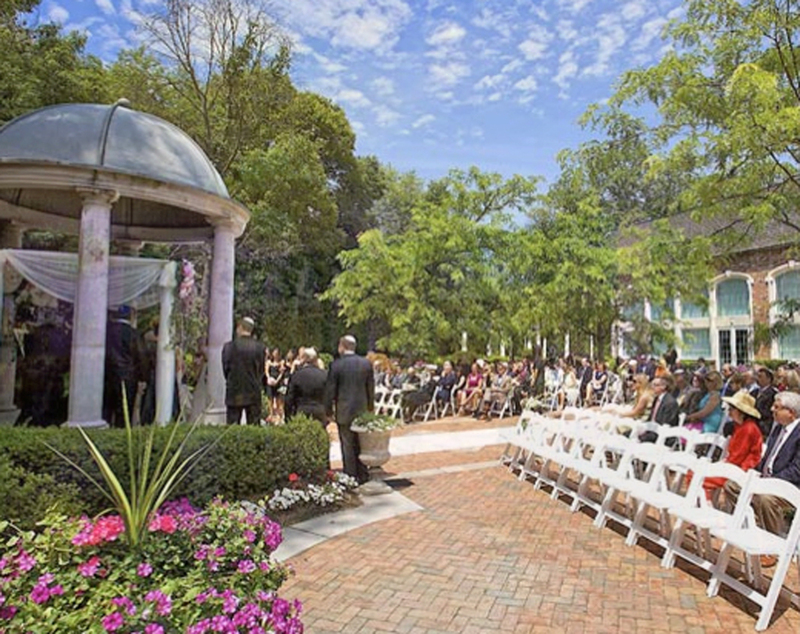 Our grounds are dotted with picturesque fountains, winding brick pathways, and charming stone gazebos. 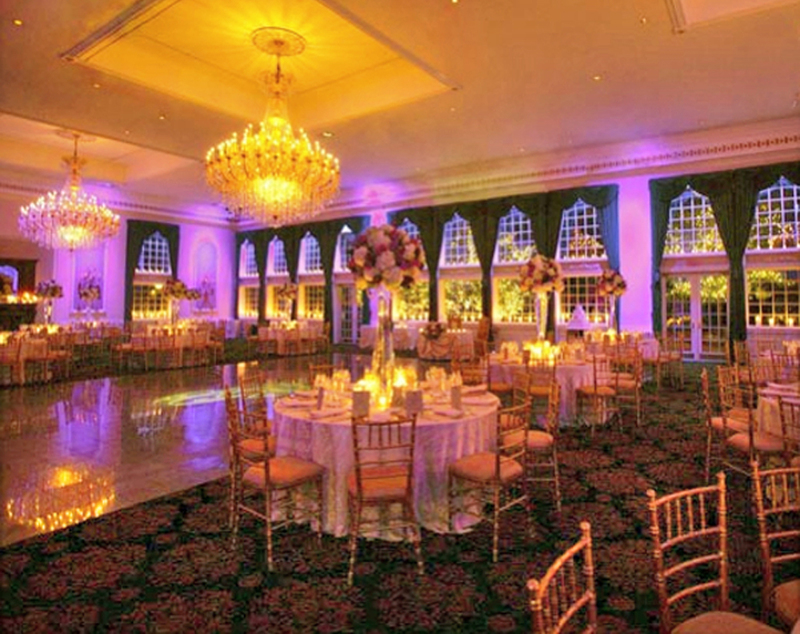 Inside, a grand lobby greets you with its stunning crystal chandelier, majestic fireplace, and sweeping mahogany staircase. 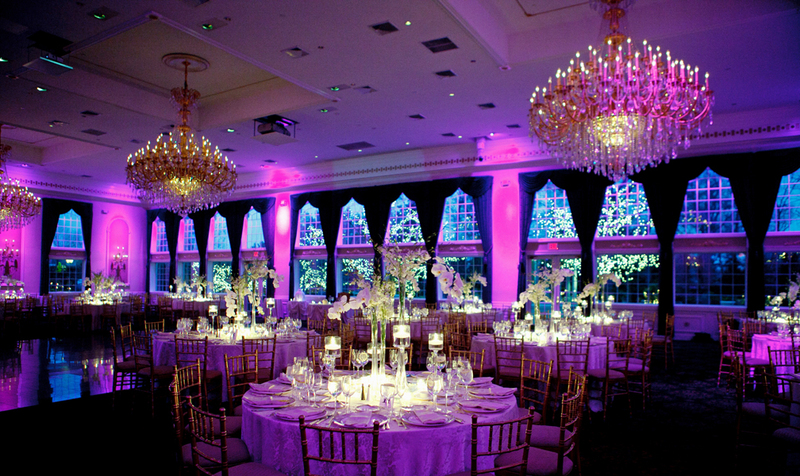 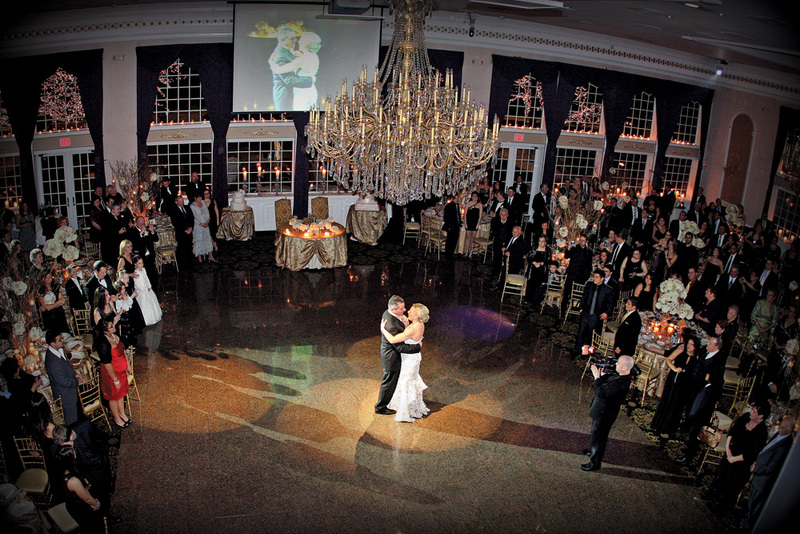 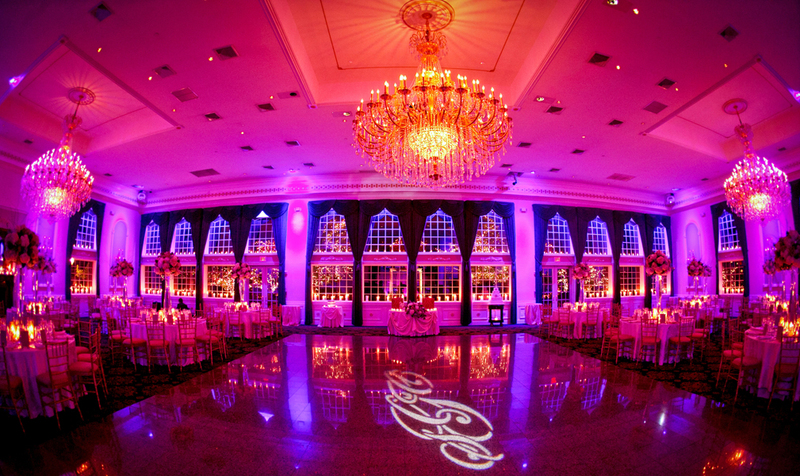 Surrounded by floor-to-ceiling windows, our Grand Ballroom features an impressive 25-foot-high ceiling, stately mahogany fireplace, breathtaking 10-foot crystal chandeliers, and a magnificent Juliet balcony. 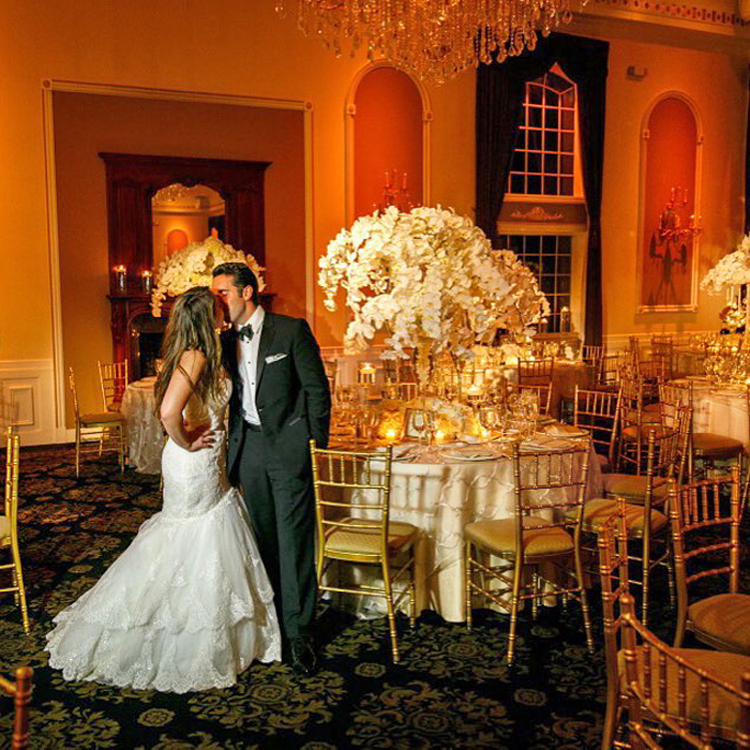 In keeping with our grand setting, we are committed to providing you, your friends, and family members with an unrivaled experience of a lifetime.